Diesel exhaust fumes pose health risks to firefighters. Diesel powered firetrucks emit harmful diesel exhaust when entering and leaving the fire station. These fumes must be properly controlled in order to prevent continuous exposure to firefighters1. 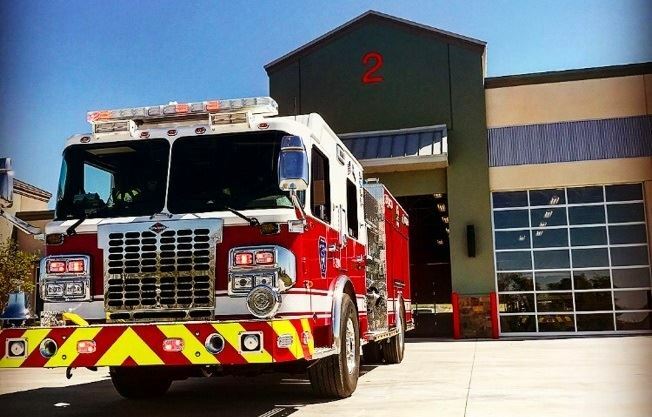 Without proper diesel exhaust fume control, the hazardous fumes may enter living quarters at the fire station increasing the exposure and health risks. Exposure to diesel exhaust fumes increase depending on the amount of calls made during a shift, the design of the fire station, and the ventilation system air flow pattern. Ambient air cleaners and portable room air cleaners offer an economical and practical solution to control diesel exhaust fumes in fire stations. Diesel powered vehicles, such as the majority of firetrucks, produce diesel exhaust through partial combustion of diesel fuel2. Complete combustion of diesel fuel generates byproducts of water and carbon dioxide, however partial combustion creates a diverse mixture of gases, liquids and particulates. The exact gas mixture varies but may contain carbon dioxide, carbon monoxide, nitrogen dioxide, and sulfur dioxide1. Diesel exhaust particulates contains carbon with a large surface area3 which allows for the high absorption of trace metals, polynuclear aromatic hydrocarbons (or soot)1, and volatile organic compounds (known as VOCs including benzene, formaldehyde, and polycyclic)4. When compared to gasoline powered vehicles, diesel automobiles produce significantly less carbon monoxide but higher amounts of nitrogen oxides and aldehydes2. 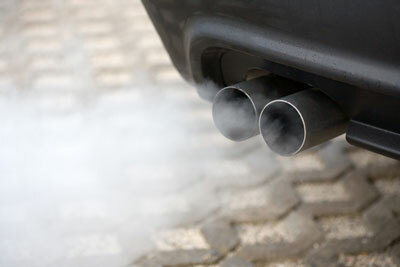 Particulates emitted from diesel exhaust travel up to 10 times further than gasoline exhaust2. Due to the microscopic size of diesel exhaust particles (< 1 µm), when inhaled they are more likely to travel to deep regions of the lungs causing lasting health effects. Scientists suggest that these microscopic particles present the most health risks out of any of the particulates contained in diesel exhaust2. Government organizations have assessed health risks and most find diesel exhaust to be carcinogenic or likely to cause cancer in humans. In 2012, the International Agency for Research on Cancer (IARC) classified diesel exhaust to be carcinogenic to humans5. The IARC concluded that there was sufficient evidence that diesel exhaust causes lung cancer with a slight increase in risk of developing bladder cancer5. 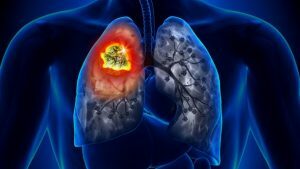 The National Toxicology Program (NTP), Environmental Protection Agency (EPA), and National Institute for Occupational Safety and Health (NIOSH) all agree that diesel exhaust is likely to be carcinogenic to humans3. Scientific studies with humans have shown an association between occupational exposure to diesel exhaust and lung cancer1. Animal studies confirm diesel exhaust and lung cancer association with the development of lung tumors in rats after exposure to diesel exhaust fumes in high concentrations1. In addition to cancer, diesel exhaust has been shown to cause other respiratory effects such as a cough, decrease in lung function, increase in asthma, and irritation to the nose, throat and lungs1. Besides respiratory effects, diesel exhaust exposure can cause irritation to the eyes, nausea3, and heart disease1. Likewise, the increased exposure of carbon monoxide causes a reduction of oxygen in the blood and in the organs resulting in impaired vision, decreased manual dexterity, interruption to learning ability, and interference of performance of complex tasks1. NIOSH conducted two recent site evaluations of five fire stations for the presence of diesel exhaust fumes. In 2015, NIOSH assessed three fire stations by request for diesel exhaust exposure6. NIOSH tested for carbon, carbon monoxide, and 1-nitropyene in the fire station truck bay, office and living areas6. Please see Table 1 for average readings collected during the testing. Carbon levels were higher in the truck bays especially in one station that had a single door entry for the fire truck. However, all three fire stations exhibited low levels of carbon in the living spaces. Carbon monoxide levels were well below any government regulations for carbon monoxide. Occupational Safety and Health Administration (OSHA) has a permissible exposure limit (PEL) for carbon monoxide of 50 ppm and NIOSH’s recommended exposure limit (REL) is 35 ppm. 1-nitropyrene could not be detected at the fire stations as the level was below the minimum detectable level of 0.23 µg/m3 (6). In 2016, NIOSH tested the levels of diesel exhaust exposure in two other fire stations. Please see Table 2 for the average readings for this study. The carbon levels again were higher in the truck bay but lower in the living quarters7. No carbon monoxide or 1-nitropyrene could be detected but there was a high amount of carbon dioxide present in both fire stations living quarters. Normal levels are 350 ppm – 450 ppm and the fire station was minimally occupied meaning the living quarters were not receiving adequate ventilation and needed more fresh air supplied to the living areas7. One big issue with the NIOSH evaluations is there is no set procedure for testing for diesel exhaust as a whole due to the complex makeup of gases and particulates8. Agencies can only test for parts for the diesel exhaust such as 1-nitropyrene, acrolein, benzene, carbon dioxide, carbon monoxide, formaldehyde, nitrogen dioxide, and sulfur dioxide. OSHA, NIOSH and ACGIH only regulate some of these components that make up diesel exhaust and do not regulate whole diesel exhaust. See Table 3 for regulations pertaining to these components 9 & 10. Because they do not regulate for whole diesel exhaust, employees are not adequately protected from the dangers of diesel exhaust fumes by simply following regulations. NIOSH does recommend reducing exposure as much as feasibly possible6. World Health Organization (WHO) suggests that employers take measures to reduce working and general population exposure to diesel exhaust to improve overall public health and safety3. Fire stations must seek cost effective methods to reduce exposure of diesel exhaust to protect employee health and safety while minimizing worker lawsuits. Many fire stations use exhaust fans to control ambient diesel exhaust fumes. 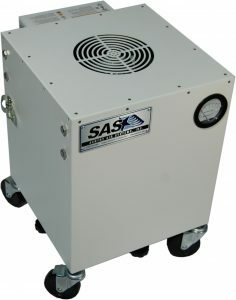 Sentry Air Systems filtration systems provide added benefits over using an exhaust fan to control diesel exhaust fumes. 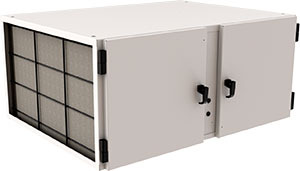 Sentry Air Systems are more environmentally friendly because the powerful fan pulls the fumes and particulates into the filtration system to remove the contaminants before releasing clean air into the space. An exhaust fan would simply be polluting the contaminated air into the outside air. Exhaust fans also usually only run when high levels of carbon monoxide are detected, while an air purification system provides an ongoing protection against lingering diesel exhaust fumes and particulates. 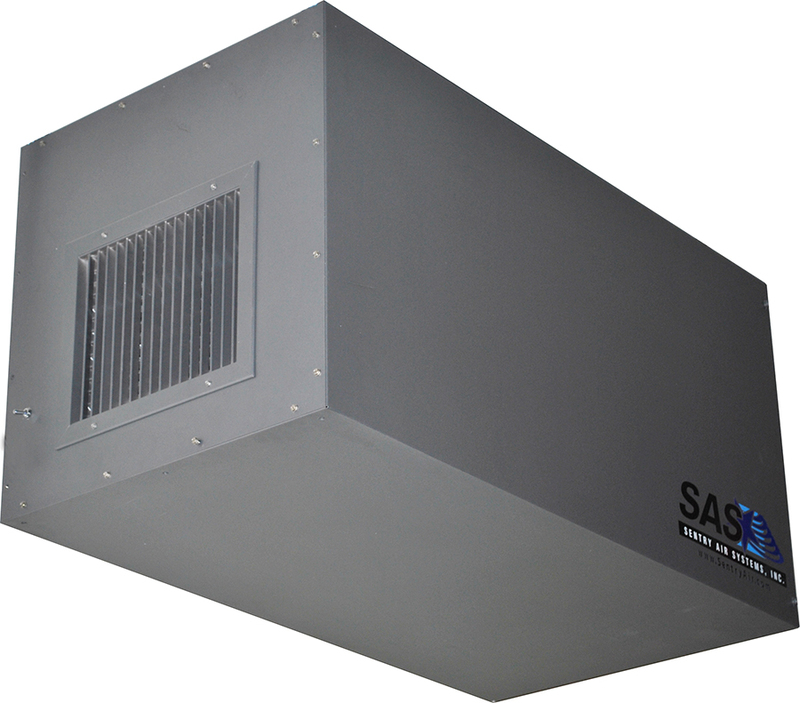 Also, Sentry Air filtration systems are much simpler to install without expensive ductwork, makeup air, or a hole to be cut in the wall or ceiling. Our systems can be hung or mounted to the ceiling, mounted on a fume extractor stand, or set on a table or floor nearby the exhaust source. Sentry Air filtration system utilize high quality filters including HEPA (up to 99.97% efficiency on particles as small as 0.3 microns), ASHRAE (up to 95% efficiency on particles as small as 0.5 microns) and activated carbon filters. Activated carbon filters offer vital protection against harmful VOCs commonly found in diesel exhaust. Features: Quad stage filtration system. Pre and post filters with two full size filters. Used for Particulate and chemical fume removal from ambient air. Features: Small footprint on heavy duty casters for easy portability. Compact and high efficiency. Economical removal of particulates, organic chemicals and odors. 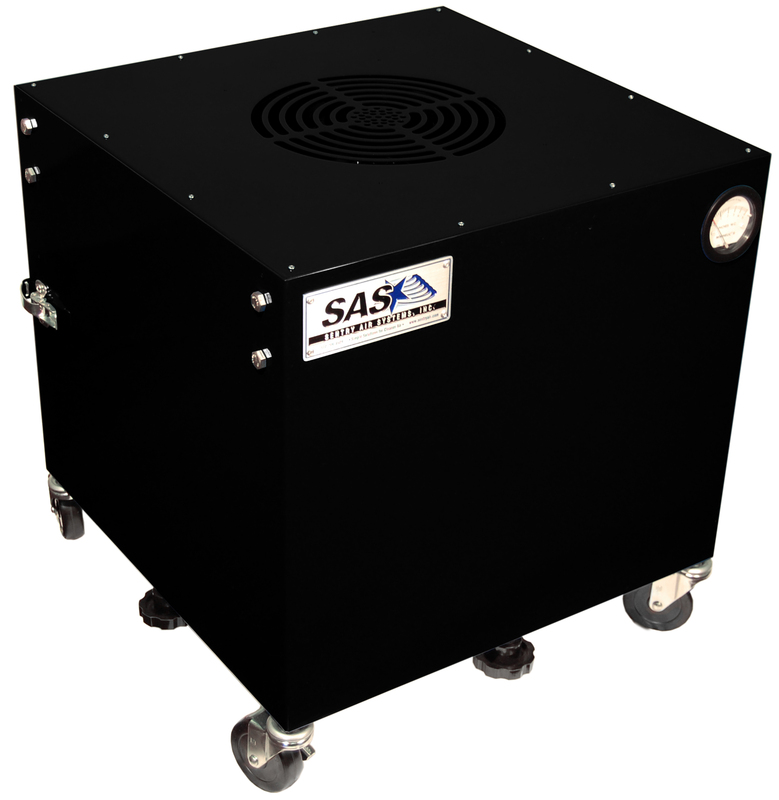 Contact Sentry Air Systems today for a solution to control diesel exhaust fumes. 1. Baldwin, Tommy; Hales, Thomas; Niemeier, Maureen. “Controlling Diesel Exhaust Exposure Inside Firehouses.” Fire Engineering. 1 Feb. 2011, Web. 12 Oct. 2018. http://www.fireengineering.com/articles/print/volume-164/issue-2/features/controlling-diesel-exhaust-exposure-inside-firehouses.html. 2. Blomberg, A.; Dahlén, S-E.; Parnia, S.; Sandström, T.; Stenfors, N.; Sydbom, A.. “Health Effects of Diesel Exhaust Emissions.” European Respiratory Journal. 2001, 17: 733-746, Web. 12 Oct. 2018. http://erj.ersjournals.com/cgi/pmidlookup?view=long&pmid=11401072. 3. Cowie, Christine. “Health Impacts of Diesel Emissions.” 13 June 13. Web. 12 Oct. 2018. https://pdfs.semanticscholar.org/presentation/d0aa/566bb11f2728a707cd0916e3b1c9f4d1808f.pdf. 4. Chin, Jo-Yu et al. “Gaseous and Particulate Emissions from Diesel Engines at Idle and under Load: Comparison of Biodiesel Blend and Ultralow Sulfur Diesel Fuels.” Energy & fuels : an American Chemical Society Journal 26.11 (2012): 6737–6748. PMC. Web. 12 Oct. 2018. https://www.ncbi.nlm.nih.gov/pmc/articles/PMC4339034/. 5. 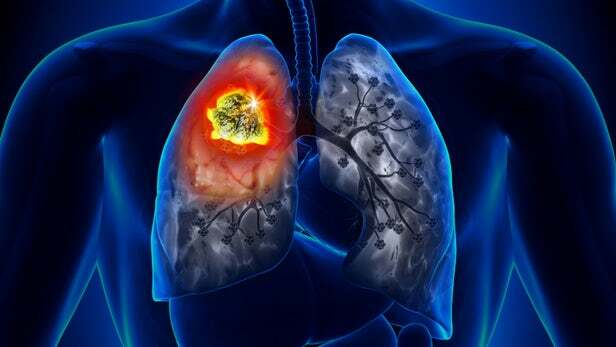 “IARC: Diesel Engine Exhaust Carcinogenic.” International Agency for Research on Cancer. 12 June 2012. Press Release. 12 Oct. 2018. https://www.iarc.fr/en/media-centre/pr/2012/pdfs/pr213_E.pdf. 6. Broadwater, Kendra; Couch, James; de Perio, Marie. “Evaluation of Diesel Exhaust Exposures at Multiple Fire Stations in a City Fire Department.” Health Hazard Evaluation Program. Dec. 2016. Web. 12 Oct. 2018. https://www.cdc.gov/niosh/hhe/reports/pdfs/2015-0159-3265.pdf?s_cid=102015-HETAB-RSS-001. 7. Burr, Gregory; Li, Jessica. “Evaluation of Diesel Exhaust Exposure at Two Fire Stations.” Health Hazard Evaluation Program. Feb. 2017. Web. 12 Oct. 2018. https://www.cdc.gov/niosh/hhe/reports/pdfs/2016-0094-3267.pdf. 8. Copeland, Michelle; Harris, Brian. “Confronting Fire Department Diesel Exhaust Exposure Concerns – Part 1.” Firehouse. 24 Sept. 2017. Web. 12 Oct. 2018. https://www.firehouse.com/stations/architects/article/12369953/confronting-fire-department-diesel-exhaust-exposure-concerns-fire-station-safety. 9. Occupational Safety and Health Administration. “OSHA Annotated Table Z-1.” Permissible Exposure Limits. Web. 12 Oct 2018. https://www.osha.gov/dsg/annotated-pels/tablez-1.html. 10. Copeland, Michelle; Harris, Brian. “Confronting Fire Department Diesel Exhaust Exposure Concerns – Part 6: Air Testing & Communication of Exposure Results.” Firehouse. 27 Feb. 2018. Web. 12 Oct. 2018. https://www.firehouse.com/stations/building-components/exhaust-removal/article/20994149/diesel-exhaust-exposure-concerns-air-testing-and-exposure-results.